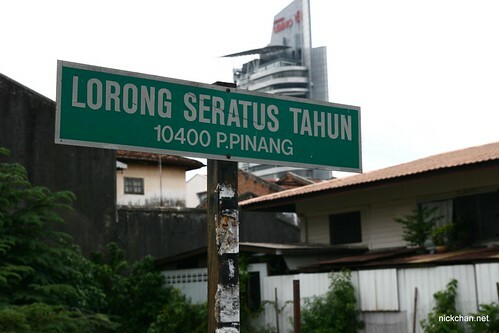 In Penang, there’s a very famous curry mee at Lorong Seratus Tahun, the road name literally means 100 years lane and I have no idea why is it named so. 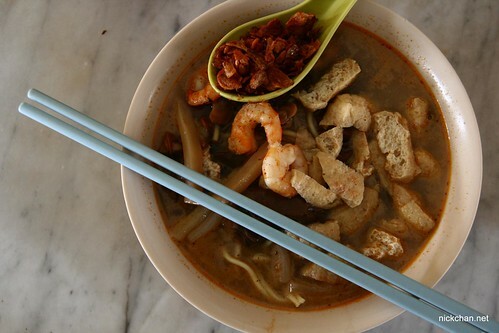 Most Penangite who love to eat sure knows about this place and the curry mee. Located in an old kopitiam on the corner, the kopitiam has a vintage feel as the owner love Chinese oldies. The spiciness depends on how much curry paste you put in. Nothing much to review, I have to say, it’s good and nice.